They’ve been a much-loved part of Canberra’s culture since 1972. But what many people don’t know about the Canberra Southern Cross Club is that it’s a not-for-profit, currently supporting more than 350 community organisations with over $1.5 million a year in contributions. The Club runs five Community Giving programs – the latest of which is the Community Key Partner program, developed to provide substantial support to a single group in need. Last week, the Canberra Southern Cross Club announced that Karinya House, Home for Mothers and Babies will be their inaugural Key Partner for the next three years. Karinya House is a community based not-for-profit organisation that provides accommodation, transitional housing, outreach services and support groups to women who are pregnant or have given birth in the last three months. Founded in 1997, Karinya House has helped more than 5500 local women, last year moving to a purpose built Home with double the accommodation capacity and designated areas for their support groups and programs. “In our twentieth year of operation and in endeavouring to meet the financial and resource needs of our new Home, the Club’s endorsement of our work with vulnerable pregnant and parenting women and their families is significant,” said Marie-Louise Corkhill, Executive Director of Karinya House. The program will provide Karinya House with up to $150,000 over the three year term of the partnership, comprised of $40,000 cash and $10,000 of in-kind services each year. 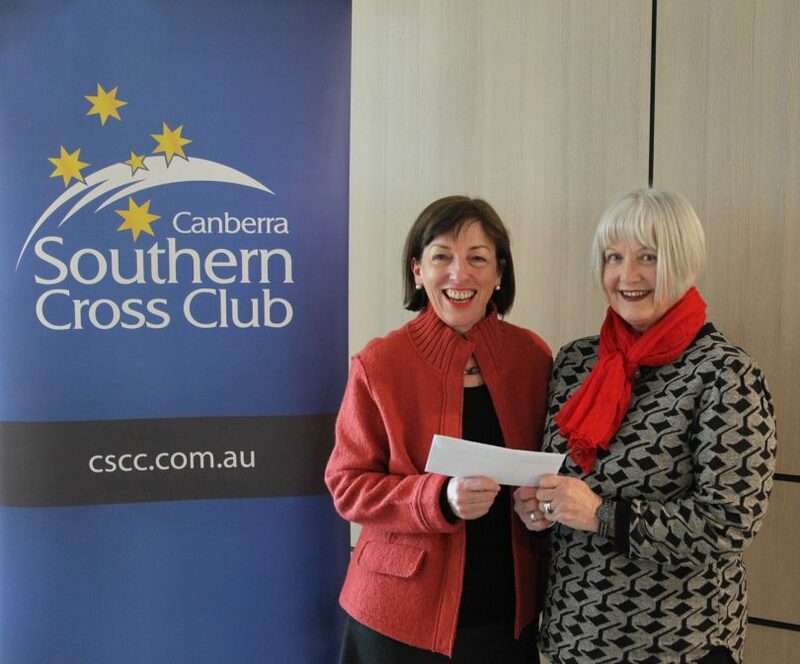 The Canberra Southern Cross Club began its Community Giving programs way back in 1977, and has been supporting some of Canberra’s most in-need organisations for over 40 years, such as Malkara Specialist School and Lifeline, through the Community Grants and Welfare programs. All monies come from profits generated through their five licensed premises. To make it easy for members to donate to a group of their choice, the Club introduced a Community Rewards program in 2015 that donates 10c of every $1 the member spends on food and beverage to their chosen charity. There are currently 100 local groups that benefit from the program. For more information about the Club’s programs, premises, or membership, visit Canberra Southern Cross Club. To learn more about Karinya House, or to make a donation, visit the Karinya House website. Now this is a sponsored article worth getting behind! Great work by CSCC and bravo to the wonderful staff of Karinya, long may their work continue.